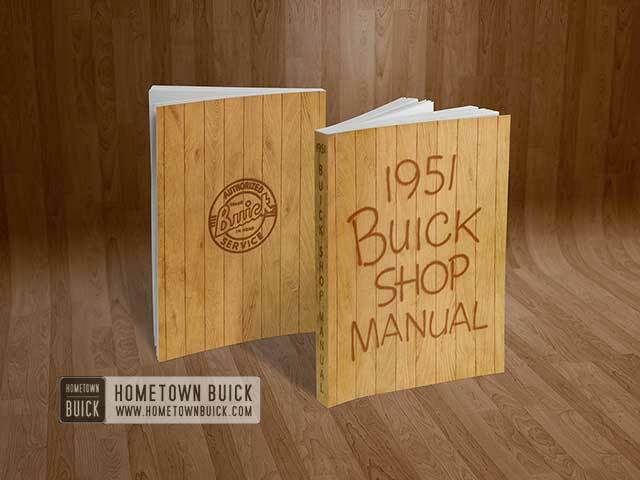 Whenever 1951 Buick electrical trouble develops it is desirable to make a quick check of the battery and cables to make certain that this source of current is in good condition, securely connected, and is functioning properly. This check will also give a good check on the cranking system. If lights go out as cranking motor solenoid switch is closed, it indicates a poor co1mection in the circuit between battery and cranking motor. Check battery cables and clean and tighten loose or corroded terminals (par. 10-21). If lights dim considerably as cranking motor solenoid switch is closed, it indicates that the battery is run down, or there is a condition in cranking motor or engine which causes an excessive current drain on the battery. A low battery will be indicated by a clattering noise in cranking motor solenoid because the battery cannot sustain the voltage required to hold solenoid plunger “in” after switch contacts close and the “pull in” winding is shorted out. Test battery with hydrometer (par. 10-19) and give it a high discharge test (par. 10-20). If battery is found to be in good condition check cranking motor (par. 10-36). Internal Condition. The internal condition of the battery may be such that it cannot hold a charge satisfactorily. Check electrolyte level and specific gravity and give battery a high discharge test, (par. 10-18, 10-19. 10-20). One evidence that battery is being overcharged is the need for frequent addition of water to the battery in order to maintain the electrolyte level above the tops of the battery separators, since overcharging causes rapid water loss. When this becomes evident the charging rate of generator should be immediately checked and adjusted (par. 10-26 and 10-.29) to avoid internal damage to battery. In analyzing trouble of this nature, the effect of battery temperature must be considered. Where the battery is operating at high temperature, a high charging rate may be obtained even with a normal voltage regulator setting and with otherwise normal operation of the equipment. If battery is not operating at high temperature, this condition indicates improper operation of the generating system which will result in battery overcharge and high voltage in the electrical system. Inspect and test generator (par. 10-26). This condition may be caused by high resistance in the charging circuit due to loose connections or defective leads, inoperative generator, or defective generator regulator. Inspect and test generator and charging circuit wiring (par. 10-26) and if source of trouble is not found test generator regulator (par 10-29). Burned resistance units, winding, or fused regulator contacts result from open circuit operation or high resistance in charging circuit Check for these conditions carefully. If, in step 7, control circuit to relay was found open (test lamp did not light) check for loose connections or broken wires. Use jumper wire to bridge across terminals of accelerator vacuum switch and neutral safety switch (Dynaflow cars only) to check these units. If vacuum switch appears to be cause of open circuit, first make sure that throttle linkage and dash pot (Dynaflow) are correctly adjusted (par. 3-8) since sticking or improper adjustment which holds throttle open will prevent the vacuum switch from making contact. If linkage and dash pot are properly adjusted check vacuum switch timing (par. 10-32 or 10-33). Make quick check of battery (par. 10-7). If low battery is indicated check electrolyte (par. 10-19) and cranking voltage (par. 10-20). Replace low battery with fully charged battery and test for clash again. A low battery will cause drive pinion clash because the generator voltage, which builds up quickly to maximum, causes a momentary voltage between generator and battery great enough to cause solenoid switch relay to close again and operate the solenoid. If solenoid plunger or cranking motor drive assembly is sticking, or shift lever return spring is weak, cranking motor must be removed so that these parts may be properly inspected and cleaned. See paragraph 10-39 (b) for pinion travel adjustment and paragraph 10-41 (b) for test of shift lever return spring. Pull switch successively to each, lighting position. If circuit breaker vibrates in all positions except “off” the trouble should be found in the tail lamp and license lamp circuit, or instrument, map light, or clock light circuits. With a Borg electric clock, the most frequent cause of clock fuse blowing is low voltage at the clock which will prevent a complete wind and allow clock contacts to remain closed. This may be caused by any of the following: discharged battery; corrosion on contact surface of battery terminals; loose connections at battery terminal on cranking motor solenoid switch, charge indicator, light switch feed wire or terminal connection on back of clock. Therefore, if in reconnecting battery or clock it is noted that the clock is not ticking always check for blown fuse, and examine the circuits at the points indicated to determine and correct the cause. If 1951 Buick speedometer pointer wavers, look for a kinked cable and test speedometer head for tightness or binding (par. 10-68). If speedometer registers neither speed nor mileage look for broken cable. If cable is okay, remove head for repairs by an authorized’ AC Speedometer service station. If speedometer shows speed but not mileage, or vice versa, the head must be removed for repairs. If speedometer speed and mileage readings are not accurate first check tires for proper size. If tires are of correct size check speedometer driven gear for correct number of teeth (par. 4-7, d). If tires and driven gear are correct, remove speedometer head and have it checked by an authorized AC Speedometer service station.